Two dozen organizations intend to seek one of Oregon’s multi-million-dollar contracts to cover Medicaid patients from 2020 through 2024, the Oregon Health Authority announced Monday. That’s more than one and a half times the current number of coordinated care organizations, with more than six companies looking to cover the Portland metropolitan area. The 2020 Medicaid procurement will be the largest in Oregon’s history, totaling more than $5 billion. Health Share of Oregon and three of its partners filed “letters of intent” to cover Multnomah, Washington and Clackamas counties. Two commercial insurers — Moda Health Plan and PacificSource Community Solutions — also indicated that they hope to expand their Medicaid footprint into the three Portland-area counties. Moda Health is currently a partial owner in Eastern Oregon Coordinated Care Organization, and PacificSource covers five counties in central Oregon and the Gorge. Jackson and Lane counties solicited interest from four organizations each, and three groups expressed interest in covering the northwest county of Clatsop. Oregon Health Authority Director Patrick Allen said the level of interest was “great news for Oregonians.” It signals a vote of confidence for Oregon's unique Medicaid system, which many have questioned. "It means the CCO system is strong and attractive," Allen said. Allen said the health authority will award contracts to all entities that qualify based on the requirements the agency released in January. The agency expects the next round of coordinated care organizations to advance its latest Medicaid agenda. Its priorities include improving access to behavioral health care, keeping cost growth below 3.4 percent, shifting to a payment system that rewards positive health outcomes instead of paying per procedure and investing in social determinants of health such as housing and education. The state may award contracts to multiple Medicaid payers within one region as long as they are all financially viable, Allen said. The health authority has not determined what it will do in regions with too many qualified applicants for the number of patients. “We will have to work through that process,” Allen said. Allen said he does not expect all the groups that submitted letters of intent to submit applications. He noted that several affiliated groups have applied for multiple contracts and that some may withdraw. Health Share and its partners CareOregon and Kaiser Foundation Health Plan separately filed letters of intent to cover Medicaid patients in Multnomah, Washington and Clackamas counties. Providence Health Assurance, another Health Share contractor, also filed a letter of intent to cover Multnomah, Washington, Clackamas, Hood River, Clatsop and Jackson counties. Health Share officials said last month that its partners may also apply for the Medicaid contract to ensure that they remain in the Oregon Health Plan system. Commercial insurers already covering Medicaid patients hope to expand their footprint, with Moda Health Plan, PacificSource Community Solutions, Kaiser Foundation Health Plan and Providence applying for contracts across 20 counties. Marion Polk Coordinated Care is the only newly formed coordinated care organization to submit a letter of intent. Salem Health, Salem Clinic and WVP Health Authority broke from Willamette Valley Community Health in January to form a new non-profit coordinated care organization. As a result, the for-profit Willamette Valley group announced that it would drop out of the Oregon Health Plan. AllCare CCO, Cascade Health Alliance, Columbia Pacific, Eastern Oregon, InterCommunity Health Network, Jackson County CCO (also known as Jackson Care Connect), PacificSource Central Oregon, PacificSource Columbia Gorge, PrimaryHealth of Josephine County, Trillium Community Health Plan, Umpqua Health Alliance, Western Oregon Advanced Health and Yamhill Community Care Organization have all submitted letters of intent to continue to cover their existing Medicaid patients. Umpqua Health hopes to expand into Lane County. Allen agreed that the strength of Oregon’s Medicaid system stems from a local connection. “We’re not operating at the whim of big national insurance companies,” Allen said. That makes it more likely that Medicaid insurers are “in it for the long run” as opposed to short-term financial gains, he said. Entities seeking a contract must submit applications by April 22. Only those who submitted letters of intent are eligible to apply. The Oregon Health Authority plans to announce the contract awards in July. 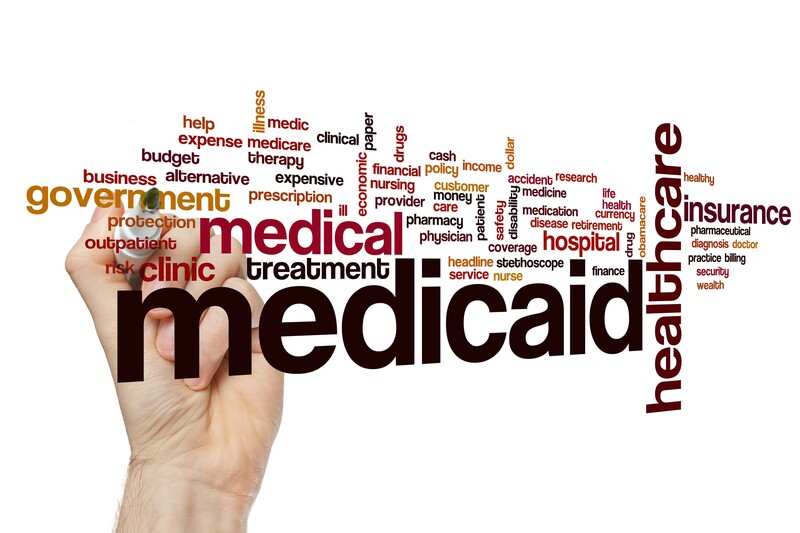 Have a tip about Medicaid or health care? Contact Jessica Floum at [email protected].